The bottom of the Makk wooden keepsake box is covered with a light felt textile. 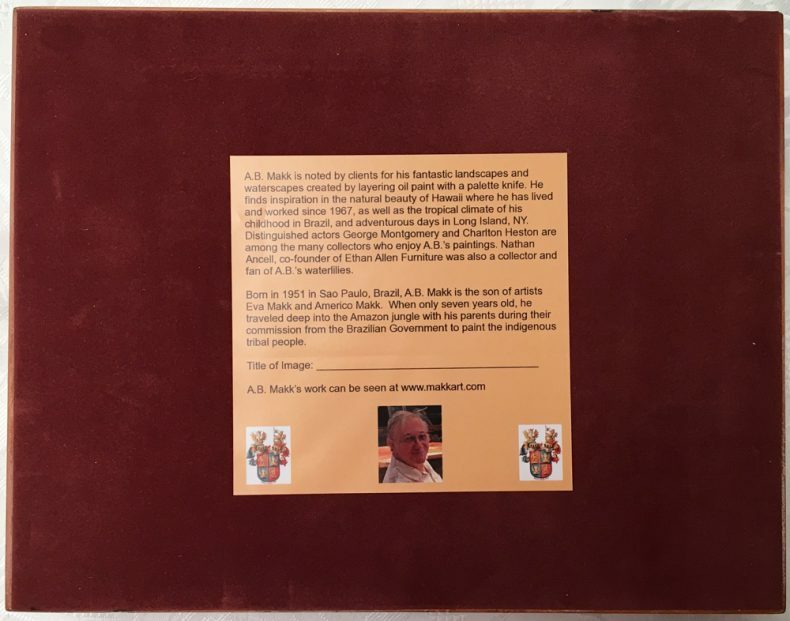 A label is added with a short bio of the artist as well as the title of the artwork on the box. The label will reflect the corresponding title and the artist on the keepsake box.